A Night of Celebration in Annapolis will be held on Saturday, May 11th, 2013 from 6:00 – 9:00 PM at Mears Marina, 519 Chester Avenue, Annapolis. Friends and family have joined together to provide guests a special evening of great dining and music as an opportunity to be a part of the caring spirit of Olivia, who died in a tragic sailing accident in 2011. 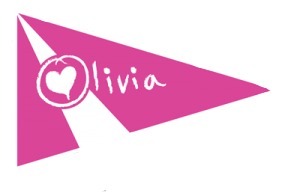 The Olivia Constants Foundation is committed to perpetuating Olivia’s energy and drive. In keeping with her spirit, OCF helps as many people in need as possible. All proceeds from this event will go to funding programs and scholarships through OCF and their partnerships with the Lighthouse Shelter, Make-A-Wish Foundation, Food Link of MD, Anne Arundel Food Bank, Anne Arundel County Board of Education and other worthy organizations. Grants and scholarships have already been awarded to students and to programs at shelters and schools. Local students have also taken initiative to perform charity work in honor of Olivia. Music will also be provided throughout the night by The Dan Haas Band, Ben Fisher and floozie. Additional activities including a live auction and raffle are planned. Tickets for the event are $100 and can be obtained online at www.oliviaconstants.org under OCF Gifts.